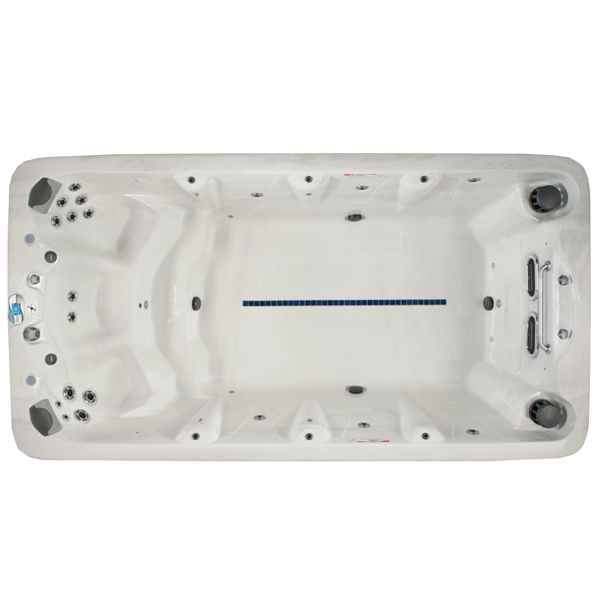 The VL4 is a superb 14ft (4.27m) swim spa with a huge swimming area alongside 3 hydrotherapy seats (including 2 deep corner seats). This model is the same layout as the XL4 – barrier free for the ultimate swim and workout, but with the added bonus of our amazing river jet xStream Force jet propulsion system for the smoothest swim. What we love about the VL4 – amazing swimming space and (we believe) unrivalled swim stream. the VL4 is set to overtake the XL4 as the bestselling swim spa thanks to the new anti-turbulence technology on the river jets, we love this spa so much we have one at our Kent showroom available for you to try out!